I don't know about you but my children seem to love anything gross and disgusting, particularly my 5 year old little boy who seems to find anything disgusting amusing! So when we were offered the chance to review the Ugglys pet shop dirty dog wash van I knew it would be right up James street, I eagerly awaiting the sneering I knew was going to come when James heard the "gross" noises inside the van! Unfortunately for us we were out when the van got delivered and got left with our neighbours who brought it back to us rather amused and confused as to why our parcel was "farting" and "burping" so the pet shop van brought plenty of laughs all round lol! 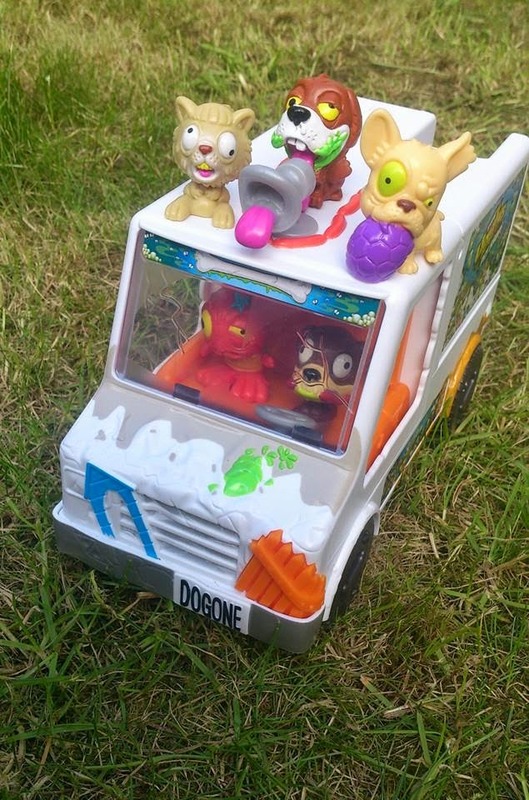 The first thing I noticed when taking the van out was the attention to detail that has gone in to this toy such as the bones on the wheels, ugly dog related stickers all over the van and even teeny tiny spiders on the scales. I often find with children's toy's those little details are over looked but as James gets older the little details are thing he really notices. 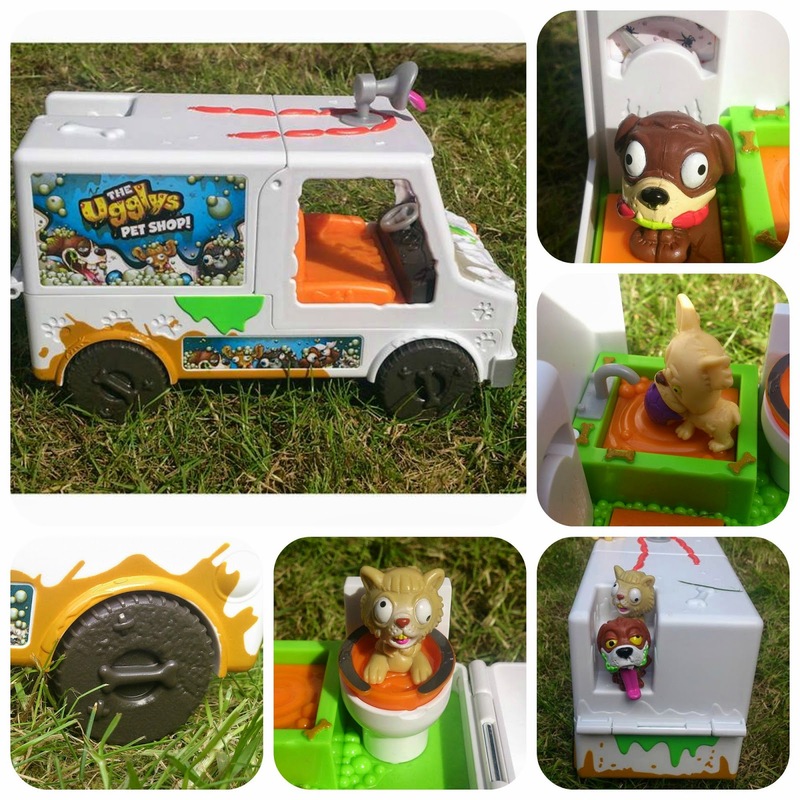 To the back of the van is a toilet which makes 'gross' noises when pressed or sat on by one of the uggly pets, the dirty dog van actually makes 30+ sounds all together! There is also a functional weighing scale which the pets can weigh in on. 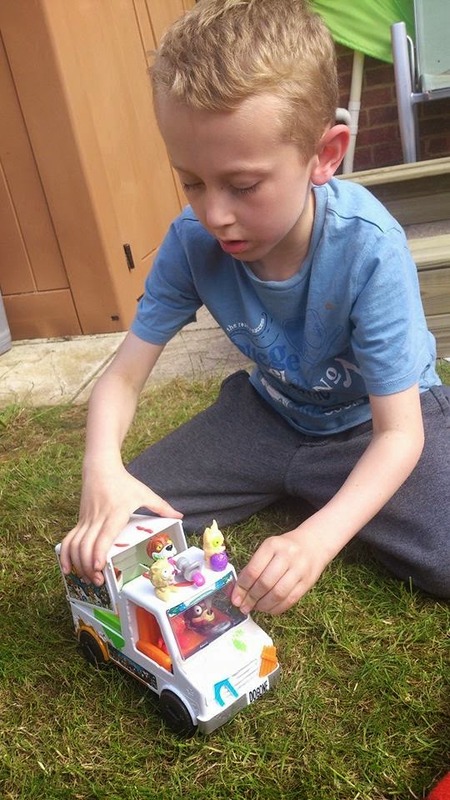 The back of the van can also either be placed up so that the pets don't fall out when driving along, or it can be left open so that all of the objects in the back can be used. 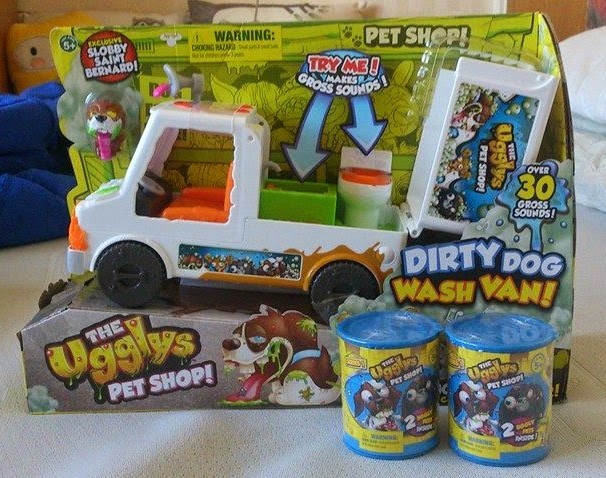 The Uggly's pet shop van is aimed at children age 5 years+. I thought this was good age to appeal too as any younger and the small dogs could easily become a choking hazard and the child needs to understand a little about the 'gross' noises to fully understand the toy. The Ugglys pet shop van seems to we pretty well made and seems to be able to withstand some pretty rough and over enthusiastic play time including being dropped off the sofa once or twice. The van in priced at £19.99 which to be sounds like a reasonable price for a toy that has provided lots of entertainment for James and it very well made and sturdy. I also liked the fact you buy "extra" gross pets to add to your collection so it means children can add to an existing toy rather than wanting another new toy. The extra gross pets are priced at £2.99 for 2 so a perfect price for young children to purchase with pocket money etc. You can purchase The Ugglys per shop dirty dog wash van from Character Online website which can be found here - www.character-online.com.